Medical Students – Join the Conversation! The World Federation of Ultrasound in Medicine and Biology (www.wfumb.org) wants you! 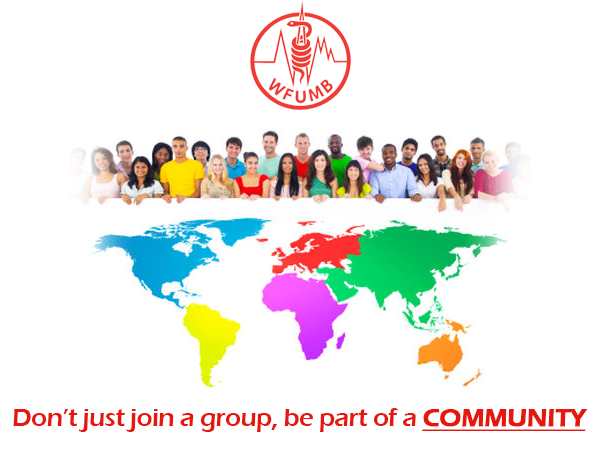 You can now apply to join a specially created Group for Medical Students where you can learn and share with other medical students and educators with a special interest in ultrasound, across the world. We would like to invite you to join the WFUMB Medical Student Network Group where you can share your experiences via discussions, videos, images and posts using the trusted platform of LinkedIn. In joining the WFUMB Medical Student Network you can help us in building a community where you can encourage others to join and share knowledge to achieve goals.